SodaStream Jet Sparkling Water Maker Just $20! Down From $50! 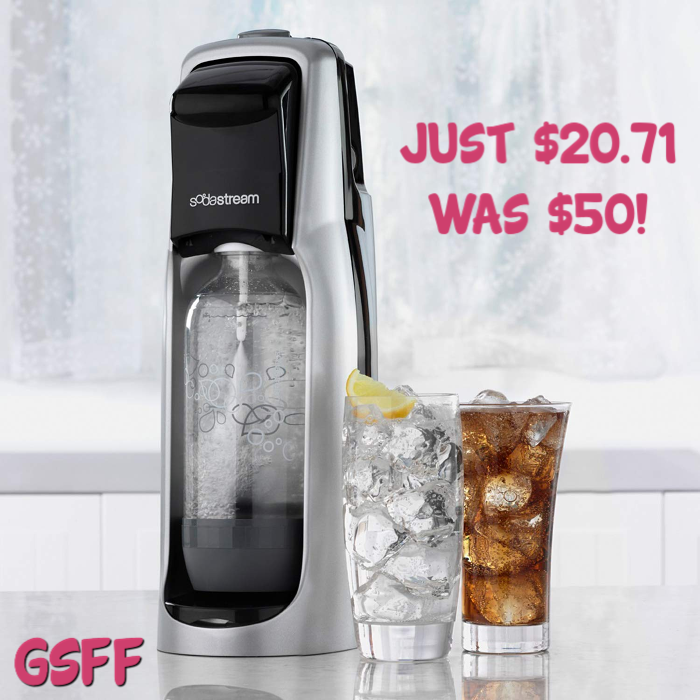 You are here: Home / Great Deals / Amazon Deals / SodaStream Jet Sparkling Water Maker Just $20! Down From $50! Right now at Amazon, you can get this SodaStream Jet Sparkling Water Maker for just $20.71, down from $49.99 PLUS FREE shipping for Amazon Prime or orders $25 and above! Enjoy the freedom of making your own sparkling drinks in just seconds with the SodaStream Jet Sparkling Water Maker! Transform ordinary tap water into fresh, great-tasting soda or sparkling water in less than 30 seconds. No batteries or electricity needed. Powered by a reusable CO2 cylinder, the refined mechanics of the SodaStream Jet Sparkling make it easy to quickly transform water into perfectly customized drinks. Transform ordinary tap water into fresh, great-tasting soda or sparkling water in less than 30 seconds. Trusted design with twist bottle insertion. Compatible with 60-liter and 130-liter CO2 cylinders.